We are very excited to be working with Manchester’s Frog and Bucket Comedy Club to bring you another night of fantastic comedy this April! We have delicious dining options available in Bowland Beer Hall or The Spinning Block Bistro as well as a ticket only option. 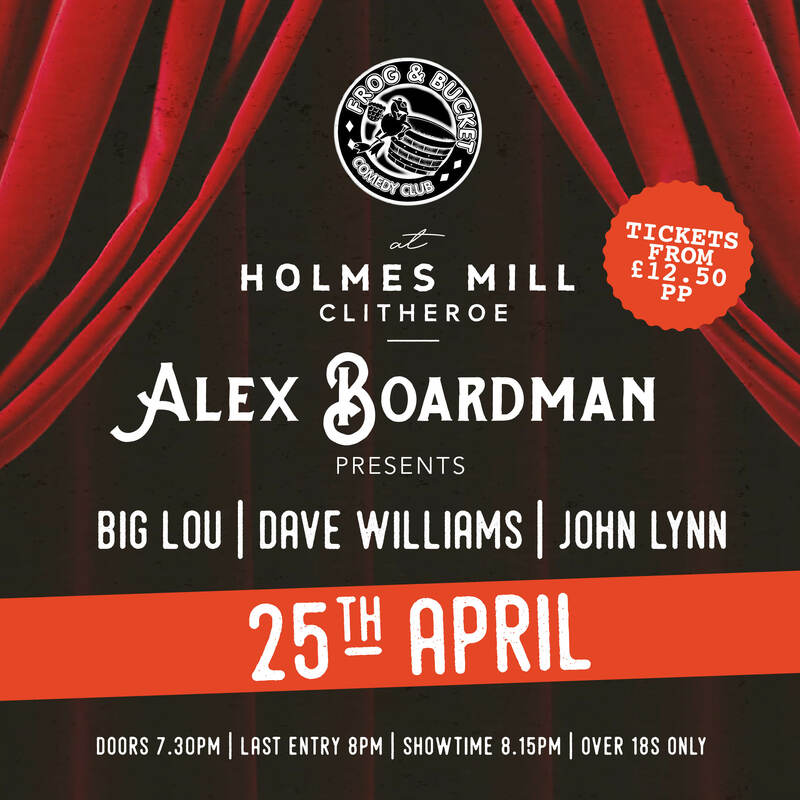 Alex Boardman – Alex Boardman is now one of the most sought after acts in the country due to his ability to interact with any audience and to seemingly conjure something out of nothing. His free flowing style and natural charm breeze through in performances. His unique brand of “Flattery and abuse” is done with a lack of malice and a big sense of fun. Big Lou – Manchester based Big Lou, is a well-known face on the comedy scene who has a commanding stage presence matched by his punchlines and timing of their delivery. Big Lou has played most of the premier comedy venues in the North West and beyond. Dave Williams – Dave has been a full-time comedian since 1998 and is booked for both compering and sets by a wide range of bookers and venues. John Lynn – Promising newcomer John Lynn has been making waves in his native Ireland for some time, and is now busy building his reputation as a first-class International act.